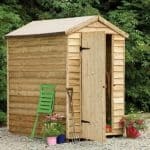 If you are looking for a long lasting and good looking mid-sized shed then this is a superb affordable windowless storage solution which lends itself well to any outdoor space. 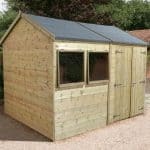 With one large door you are able to easily store away all your gardening equipment and the tongue & groove cladding gives outstanding strength and security. 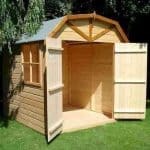 It has an attractive design and shape and the wooden construction makes it ideal for you to paint in a colour that will complement your garden to perfection. 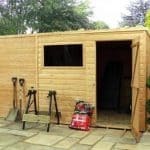 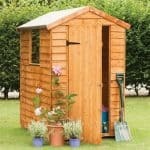 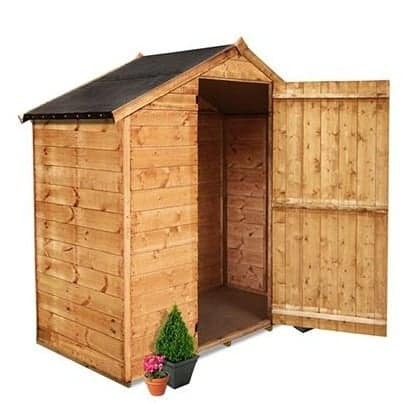 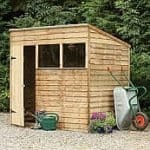 A quality garden shed at a solid price point.